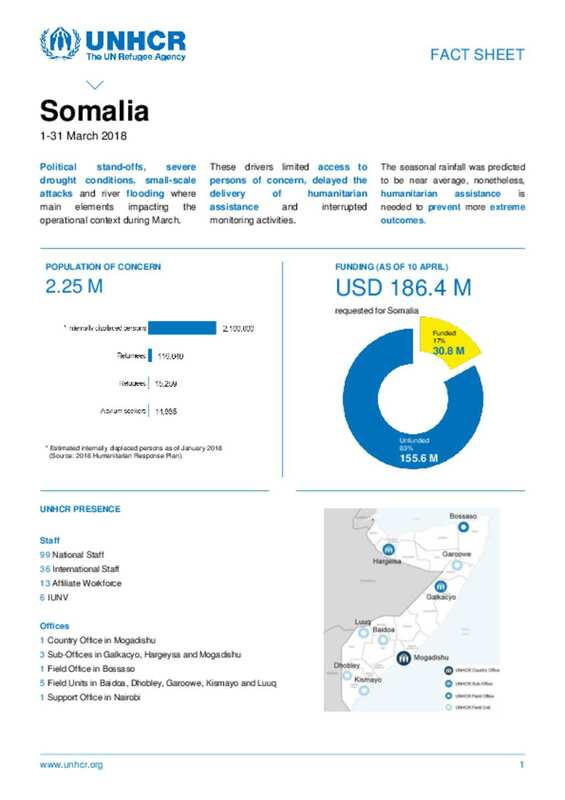 Political stand-offs, severe drought conditions, small-scale attacks and river flooding where main elements impacting the operational context during March. These drivers limited access to persons of concern, delayed the delivery of humanitarian assistance and interrupted monitoring activities. The seasonal rainfall was predicted to be near average, nonetheless, humanitarian assistance is needed to prevent more extreme outcomes.